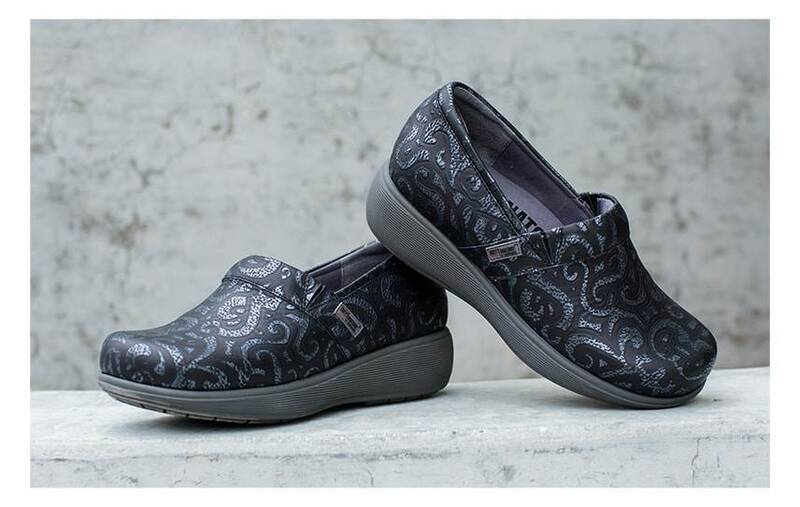 The women’s Softwalk Meredith is perfectly designed for long work shifts on your feet. 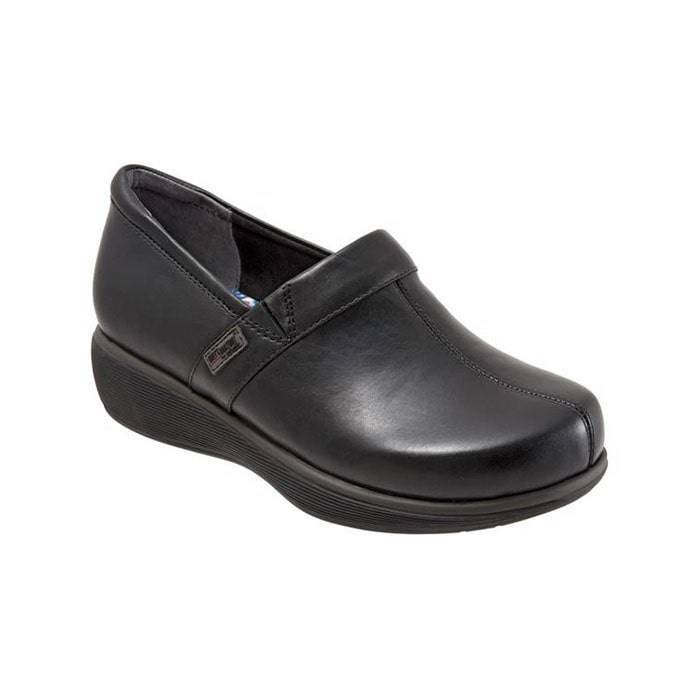 Many women have reviewed the Meredith as their favorite comfort clog for work and highly recommend this shoe for its amazing comfort. It is a top work choice for professionals such as nurses, teachers, restaurant workers, and anyone who spends long hours on their feet. 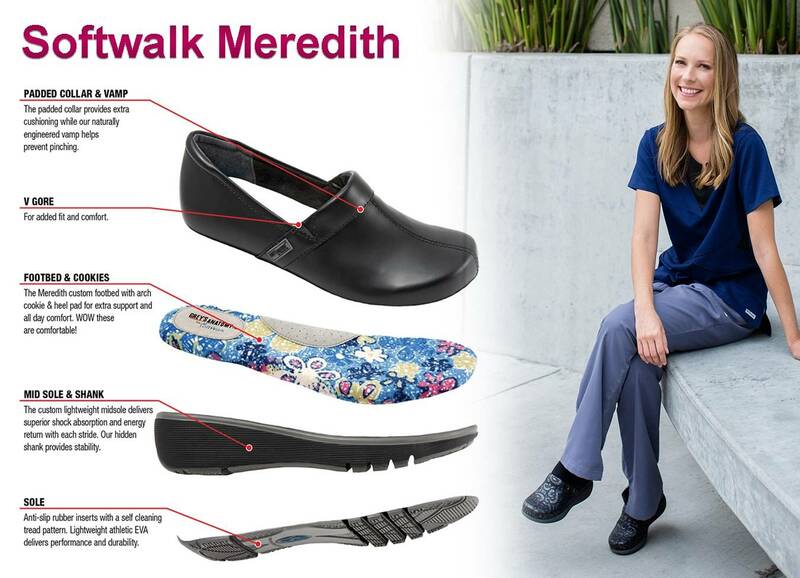 If you feel work is taking a toll on your feet and you are experiencing foot pain; keep reading since you may benefit from a pair of Softwalk Meredith clogs. Meredith was made with you in mind; a working woman who spends 8 to 12 hours on your feet and makes it a priority to stay comfortable. This is a clog that was built for all-day comfort beginning from the heel counter to its exterior outsole. Meredith has the potential to be the most comfortable clog you’ll ever wear. Meredith has an extra padded heel collar for extra cushion, support, and protection. 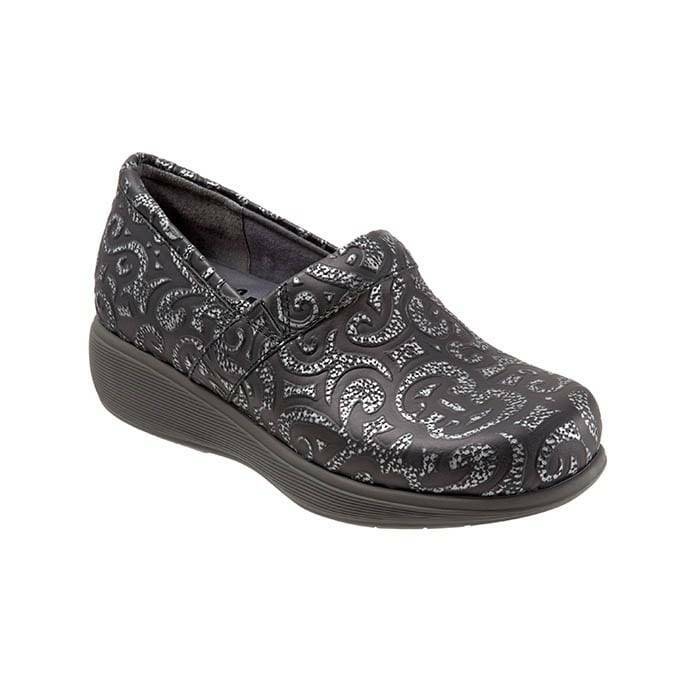 This comfortable clog also has side elastic goring panels for a more flexible opening. After hours on your feet, you’ll find the elastic goring to be forgiving as your feet may swell throughout your busy work day. For extra comfort and support, every Meredith shoe offers a customized footbed with arch support. Its footbed is made with extra padding for a soft cushioned step. This clog’s comfy footbed molds to your feet and hugs your arches. 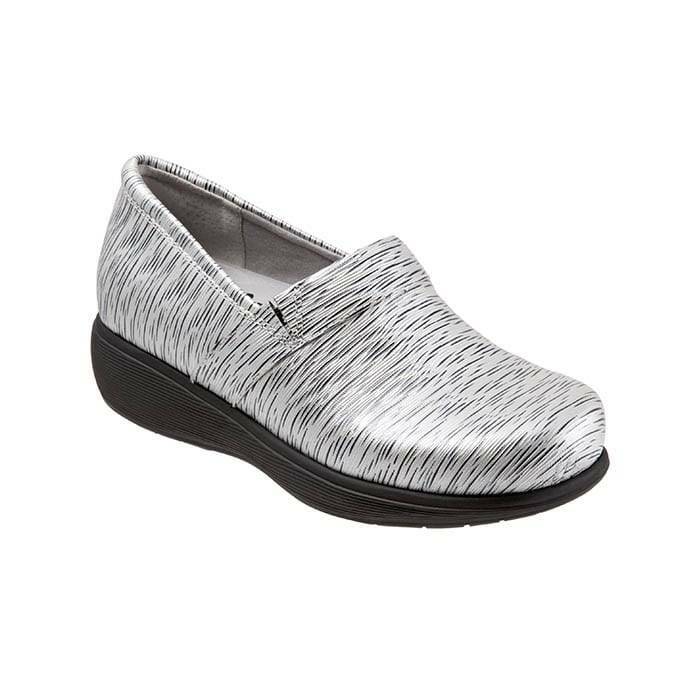 Meredith is so cushioned and comfortable; you will believe you are walking on clouds. Additionally, Meredith makes it possible to keep your arches supported thanks to its incredible arch support. If you suffer from plantar fasciitis, fallen arches, or flat feet; Meredith will be your next best friend. Comfort is extremely important for all working women, but so is safety.This is why Meredith perfectly combines comfort with slip resistance. This clog has a textured rubber outsole that grips to the ground with every step. Its slip-resistant gripping is both oil and water resistant. Furthermore, its durable outsole provides maximum traction and stability, ideal for extended wear. With Meredith, you can feel both safe and comfortable whether you are a nurse, teacher, restaurant or hotel worker. 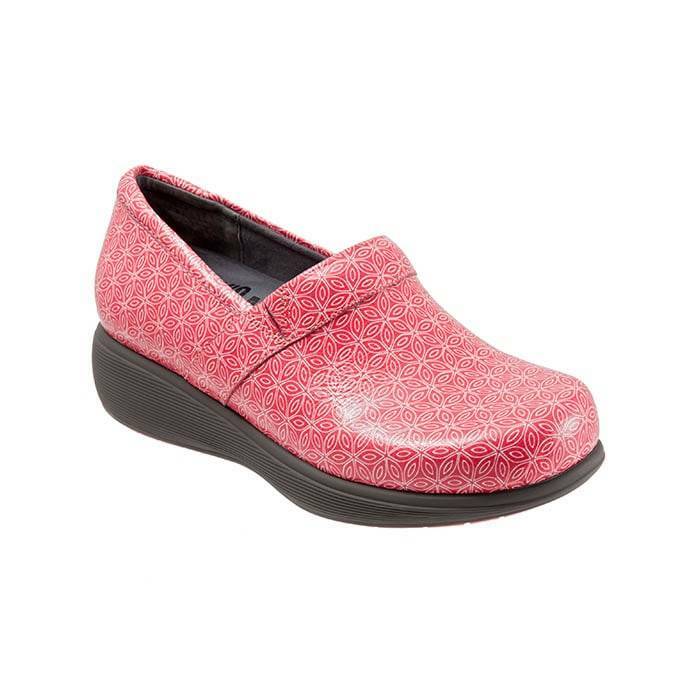 This women’s clog will give you reliable comfort when you need it most; so that you can focus on your job, not on your feet. With Meredith, you can forget about agonizing foot pain from working long shifts. 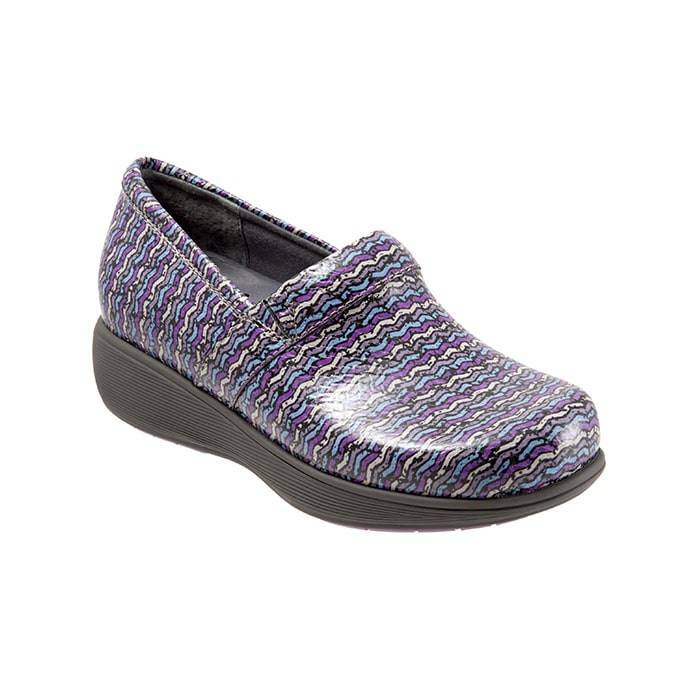 Try on the Meredith and make it a favorite comfort clog for work. To try on a pair of women’s Meredith clogs, visit any our stores located in Southern California. Click here to find a store near you. If you are experiencing any foot pain or fatigue from working long hours, click here for a free foot analysis. Come into any one of our stores, located in Anaheim Hills, Rancho Cucamonga, Riverside, San Dimas, Temecula, La Quinta and Palm Desert! Visit us today and try on a pair of Softwalk shoes! At Lucky Feet Shoes, we carry many Softwalk shoes: sandals, sneakers, and clogs; in any of our Southern California stores. If you are looking for Softwalk footwear in Orange County, the Inland Empire, Los Angeles County, Temecula or Riverside; we have seven stores to serve you! Come and visit us today! If you are looking for Softwalk shoes in Anaheim, Anaheim Hills, Yorba Linda, Brea, Orange, Placentia, Costa Mesa, Santa Ana, Fullerton, Irvine, Villa Park or Tustin; visit our store in Anaheim Hills. If you are looking for Softwalk shoes in San Dimas, Glendora, Pomona, Covina, West Covina, La Verne, Azusa, Diamond Bar or Claremont; visit our store in San Dimas. If you are looking for Softwalk shoes in Rancho Cucamonga, Ontario, Upland, Fontana, Rialto, Chino, Chino Hills, Mira Loma, Eastvale, Colton or San Bernardino; visit our store in Rancho Cucamonga. If you are looking for Softwalk shoes in Riverside, Moreno Valley, Corona, Rubidoux, Loma Linda, Grand Terrace, Redlands or Norco; visit our store in Riverside. If you are looking for Softwalk shoes in the Temecula Valley, Murrieta, Fallbrook, Lake Elsinore, Wildomar, Hemet, San Jacinto, Pala, Sun City, Menifee, Canyon Lake, Perris, Bonsall or Anza; visit our store in Temecula. If you are looking for Softwalk shoes in Indio, Coachella, Thermal, Vista Santa Rosa, Valerie; visit our store in La Quinta. If you are looking for Softwalk shoes in Cathedral City, Thousand Palms, Palm Desert, Palm Springs, Desert Springs, Rancho Mirage or Bermuda Dunes; visit our store in Palm Desert.